TechnicoFlor was founded in 1982 by François-Patrick SABATER to create aromatic compositions for the perfume industry. Soon new subsidiaries were set up expanding the business and diversifying into food flavors, plant extracts and aromatic raw ingredients. In 2017 TechnicoFlor acquired from ELIXENS its food flavoring business, and decided to revive and re-launch its historic brand name FONTAROME. FONTAROME designs, produces and sells food flavors for all sectors of the food industry both animal and human. 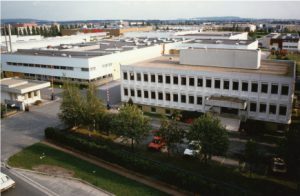 The company operates from a 5,000 m2 production facility near Paris at Saint-Ouen l’Aumône (95 Val d’Oise), including 3 laboratories, production units and a quality control laboratory. FONTAROME works to European Directive CE1334/2008 and brings to market an extensive range of food flavors and notes from citrus to exotic and yellow fruit, red fruit, warm flavors, flower and plant notes, spices, aromatics and ethnic flavors, vegetable notes and notes of cheese, meat, fish and licorice among others. candies and confectionary, dairy products, ices, alcoholic and non-alcoholic beverages, biscuits, viennoiserie, pastries, e-cigarettes, shishas,..
Our extensive range of flavors are designed for many types of livestock. Our flavorists seek to improve the food attractiveness for the animals to enhance their appetence. In response to consumer demand for non-artificial flavors and to society’s concern for environmental sustainability, we offer a wide range of flavors sourced from natural ingredients.